The process of distributing organs to those on the organ transplant list has been long overdue, with people waiting months or even years to receive the call that they will be lucky enough to get the transplant they need. In a recently published article, the Associated Press dives into this very topic, imploring certain experts to share what solutions they are exploring and looking to implement in order to spread the wealth of transplants nationwide. According to the U.S. Department of Health and Human Services, there are 120,096 people currently on a waiting list for an organ transplant, including kidney, pancreas, liver, intestine, heart, and lungs. 14,644 of those are in line for a new liver, of which 7,100 received one last year. Nearly all were from deceased donors, with more than 1,400 people dying while on the list - passing away during the wait. How do patients get allocated for organs? The Model for End-stage Liver Disease (MELD) ranks waitlist patients based off of their mortality rate in conjunction with wait list times, and range from 40 to 6. The closer a patient is to death without a transplant, the higher their score. 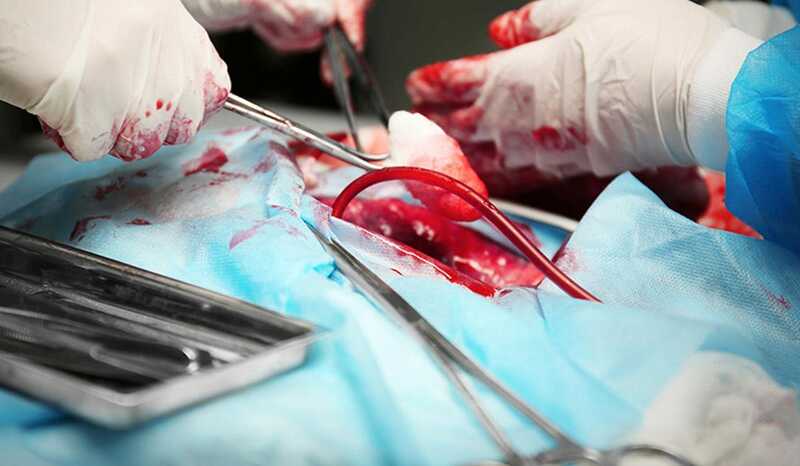 However, according to the U.S Department of Health and Human Services, for some patients the risk of death without access to liver transplant is not accurately predicted by the MELD score. In these instances, the liver transplant program may request an exception score, which are then reprioritized through newly adopted independent criteria used to request and approve exceptions - commonly referred to as “regional agreements.” These regional agreements may contribute to regional differences in exception submission and award practices, even among regions with similar organ availability and candidate demographics, offering hope to patients who, under “normal” circumstances would surely die waiting. "There's a huge difference in the risk of death on that waiting list depending on where you live," said Hirose, a transplant surgeon at the University of California, San Francisco. The problem is simply stated - there are fewer available organs in some parts of the country, and higher demand for them than others. Why is it that someone in New York or California, typically faces more challenges getting a new liver, making them in poorer health before receiving a transplant, as opposed to someone in Washington state or South Carolina? According to Dr. Hirose, the organization’s proposed solution involves a redraw of the current transplant zoning maps, quite like political voting maps, dividing the country into eight new "districts" for liver transplants. The proposal aims to allow for wider sharing, which can level the playing field by including more potential donors in areas with longer waiting lists. In addition to the geographical realignment concerning transplants, the system in which determines who gets a transplant first needs to be redesigned as well. To combat this battle for exceptions due to skewed MELD scores, the OPTN/UNOS Liver and Intestinal Organ Transplantation Committee is currently seeking to establish the National Liver Review Board (NLRB) to promote consistent, evidence-based review of exception requests. The Committee has developed guidelines for specific clinical situations for use by the NLRB to evaluate common exceptional case requests for adult candidates with ten diagnoses, not all of which are appropriate for MELD exception. This supplements the existing national guidelines and replaces the need for regional agreements. Only time will tell if these new proposals positively impact patient outcomes, but the fact that the long standing disparity of U.S. organ transplant distribution is finally being addressed is innovative in itself, and most importantly restores hope in an old system that literally creates a list of patients who are simply waiting to die.